Keep up with rapidly growing marketing automation by giving a boost to your retargeting campaigns with Facebook Business add-on. FB Business is an efficient solution designed to synchronize your web store with Facebook Product Catalog and make your promotion experience as smooth as possible. 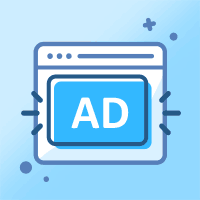 With FB dynamic ads you can be sure that your prospective customers will see only relevant products in Facebook and Instagram feed. These ads are based on items which your visitors viewed on your website, so they are more likely to return to your store. This opportunity is just too tempting to miss! Essential, if you want to save your time and earn money. Thanks to this addon I could launch my first ad campaign on FB. That's was a milestone for my store - my revenues got much higher thanks to it. I remember myself adding all my products to my FB Shop manually, and I can't say that I want these days back :D Now I have this great solution, which makes all the job for me. this add on is a huge time saver to me. I would recommend it to anyone who wants to sync their store with fb product catalog. nice start for launching my ads campaigns. Add-on Bundle (6 in 1) - Save $63!